Hi. I’m Avi. I am a woman, and I am trans. I’ve worked as a developer in thoughtbot’s New York office for almost two years. Just over a year ago, we moved out of a WeWork and into our own newly renovated office space. The space has two restrooms, each with two stalls and one with a urinal. When we moved the one with a urinal was labeled “Men” and the one without labeled “Women”. 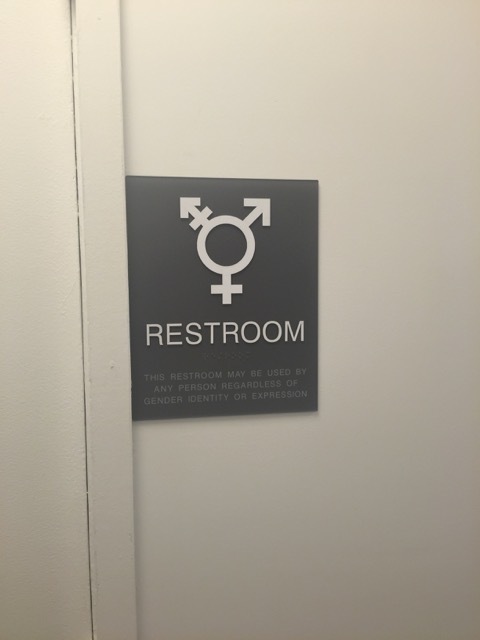 Our Boston office has single occupancy, ungendered restrooms and we wanted to implement a similar solution in NYC, but the cost of renovating the restrooms was prohibitive. We discussed ungendering the restrooms regardless but ultimately decided to postpone any changes because of a NYC building code that requires gendered restrooms. It wasn’t a decision I was happy with, but I was working from home or from clients’ offices most days, so I put it out of my mind. On March 23 of this year, North Carolina’s governer signed into law a bill that prevents trans people from using the restrooms they are most comfortable in, threatening the safety of any trans person who needs to use a restroom in public. The Obama administration countered by issuing a statement declaring that trans children in public schools across the nation should be allowed to use the restroom that matched their gender identity. 11 states responded by suing the Obama administration over the policy. Troubled by the recent events, I handmade signs to indicate that the restrooms were no longer gendered, and taped them over the existing gendered signs. I then posted in Slack to inform the rest of the office, providing links to articles explaining the recent struggle over restroom rights. Our office manager Stephanie took the next step, sending out an announcement about the change and opening a discussion around our next steps. She included a link to OSHA’s federal guideline promoting the use of ungendered restrooms, superceding the NYC building code. 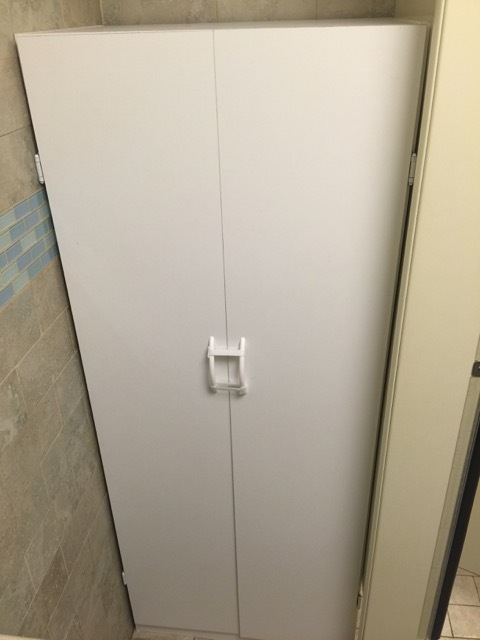 Multiple female identifying people raised the concern that they would feel uncomfortable walking into the restroom if someone was using the urinal, so we decided to cover the urinal with a backless cabinet, effectively decommissioning the fixture and making the two rooms indistinct from each other. We ordered ungendered restroom signs, making sure they were embossed so they would be accessible to the blind. And voila! Our office now has two lovely restrooms that can be used by anyone. 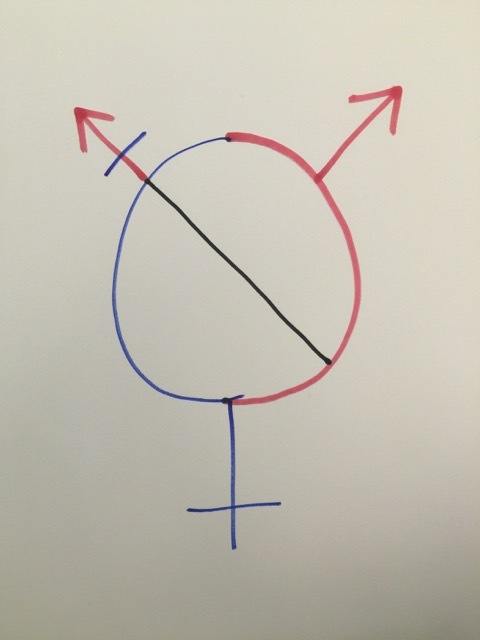 If you have an office space with gendered restrooms, we encourage you to do the same. If you are in a coworking space or share your restrooms with other companies (as is the case for several of our offices), open a conversation with the people who manage the restrooms. Share the OSHA guidelines. Talk with the other people in your building about the importance of ungendered restrooms. The change may take time, but the effort is invaluable and future visitors to your office will thank you for it. If you’re looking for more resources or want advice on how to ungender the restrooms in your workplace, feel free to message me. Happy peeing!